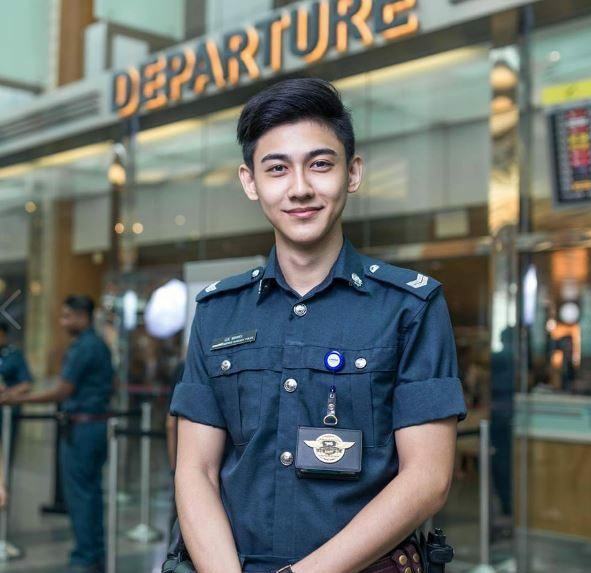 Meet Lee Minwei, 22-year-old corporal at Changi Airport in Singapore. The ridiculously good-looking security corporal has taken social media by storm. (caused mostly by ladies, especially) People were trying so hard to have the opportunity to meet Minwei and heck, we can’t blame anyone for that! All photo credits go to weixinqq and Changi Airport Facebook.